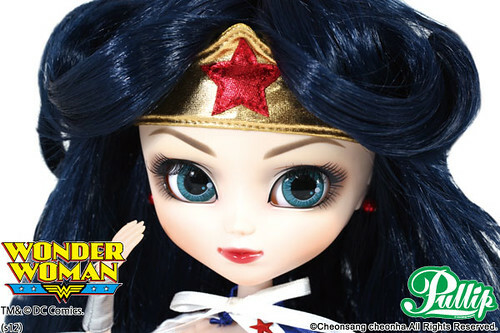 SDCC Exclusives Announced Batman Taeyang and Wonder Woman Pullip! 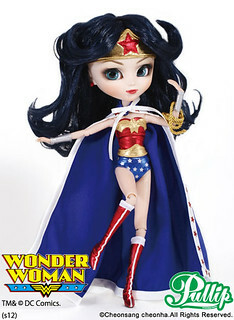 I love Pullips and I love DC comics, it’s a beautiful thing when Groove decides to combine these into DC themed dolls. 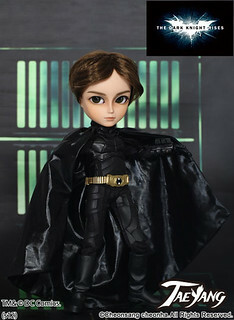 Last year, Groove released Catwoman and Batgirl exclusive Pullips for SDCC this year they have announced a Batman Taeyang and a Wonder Woman Pullip. 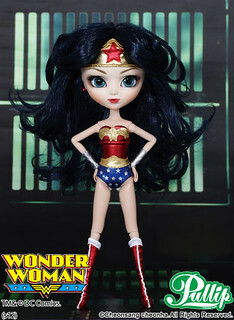 No word yet on pricing/ availability outside of SDCC (though it is worth mentioning that Groove does have their own shop in the US now and Pullipstyle has been to able to stock the SDCC the past three years so it is very likely they will be able to stock these as well) or if there will be a variant set for overseas markets (last year there was an alternate set for Wonder Festival). 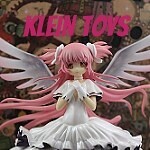 As soon as I get any additional information I will update here. 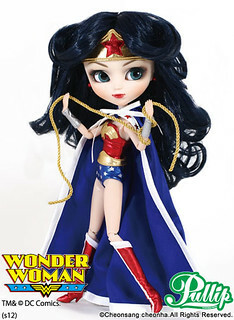 Wonder Woman Pullip Smarter than Athena, Stronger than Hercules, Faster than Hermes, More Beautiful than Aphrodite… Feel Like So. 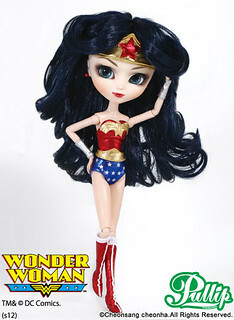 At first glance, her wig scares me badly it looks like it will be a nightmare to control thankfully that can be solved with a rewigging. I’m very excited for her. 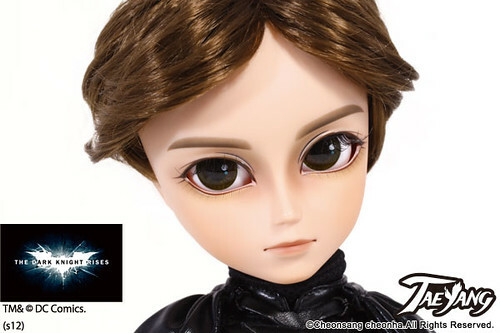 Close up of the face up- I love her face up other than her eyebrows which bother me a little, they seem too high up or just off somehow. 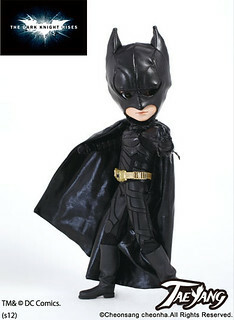 Taeyang Batman Sink Deep inside darkness and conquer the evil of insanity and confusion, all to protect Gotham City. 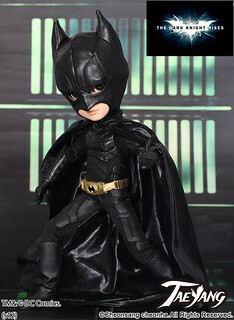 Not only is a Batman but it’s a Dark Knight Rises Batman, the costume looks duly impressive. 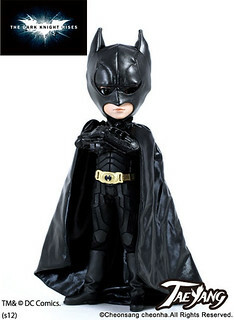 He is everything I could have ever wanted in a Batman Taeyang. 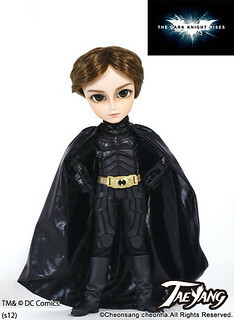 Face up- Even if this was not Batman/Bruce Wayne I have to admit if he had this face up I think I would get him away as it is very attractive. 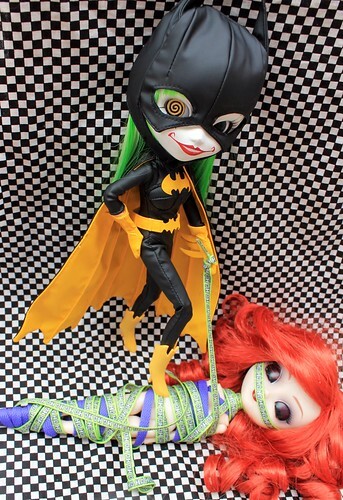 Needless to say Duela couldn’t be happier to hear that some new playmates have been announced especially since she already seems to have conquered the threat of Batgirl. 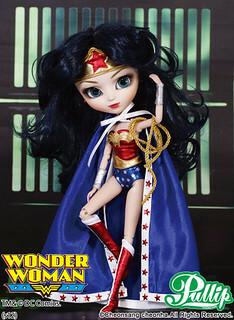 This entry was posted in Doll, Pullip, Taeyang/ Namu and tagged batman, Pullip, sdcc, taeyang, wonder woman. Bookmark the permalink.